Happy 2013! In order to welcome the new year and our fabulous new exhibition Frida & Diego: Passion, Politics, and Painting (opening February 14th) we’ve also decided to interact with families in an all new way. We are starting a new program called Domingos de Aventuras en Arte (Sunday Art Adventures). Every Sunday from 1:00 p.m. – 4:00 p.m. you and your children can find artistic inspiration as you learn about these iconic artists. Join our bilingual College Family Tour Guides for a fun-filled family adventure in Spanish or English. 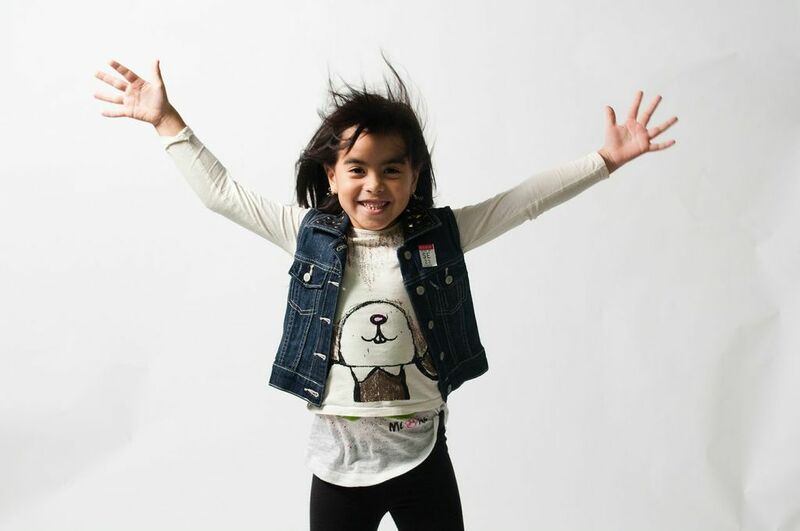 After you explore the personal and political ideas behind Diego’s murals and paintings and Frida’s dreamscapes and self-portraits, visit the Greene Family Education Center to try your hand at creating your own art. We kick-off this program on Sunday, February 17th. Stay tuned to meet our College Family Guides (the dynamic bilingual students who will be giving the tours). I’ll be introducing them to you next week. It’s Mother’s Day on Sunday, May 13 and we have the perfect thing to help you celebrate with your mom. Stop by our Second Sunday Funday and make some artwork together! Our art workshops will be rocking and rolling between 1 and 4 p.m. You can help mom design a street art tote bag or her very own magnetic graffiti tag all inspired by the KAWS: DOWN TIME exhibition. Don’t forget to check out The Art of Golf before you go to our third workshop. You can make a bouquet that won’t ever wilt. Put together a colorful golf-tee arrangement just for mom. As an added bonus, stop by the High Shop to meet author Don Tate and illustrator R. Gregory Christie. They collaborated on the children’s book, It Jes’ Happened: When Bill Traylor Started to Draw. They’ll be doing a special reading as well as signing copies of this fabulous book. Don’t fret on how to honor your mother this weekend. Just swing by the High on Sunday and let us help you out! 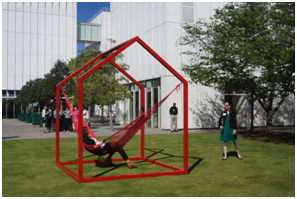 Last week at the High we celebrated families during Family Day: Modern People. It was a blast! We looked at, heard about, danced around, and made art. Everything was inspired by the people in the artwork of Picasso to Warhol. 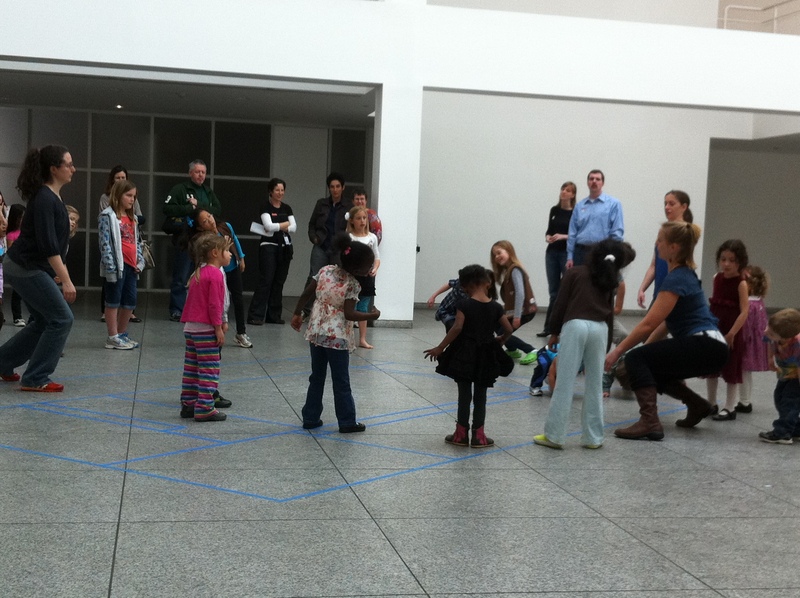 It was so interesting to see how families interpreted the modern art that they saw in the galleries. I was inspired to look at the exhibition in new ways. Here are some photos from the day. 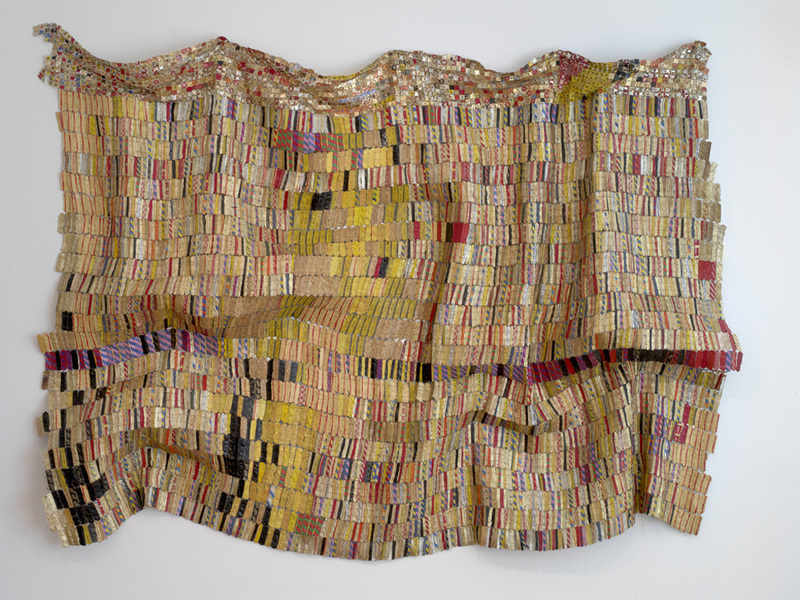 They may inspire you to come to the High and look at Picasso to Warhol in a new light. 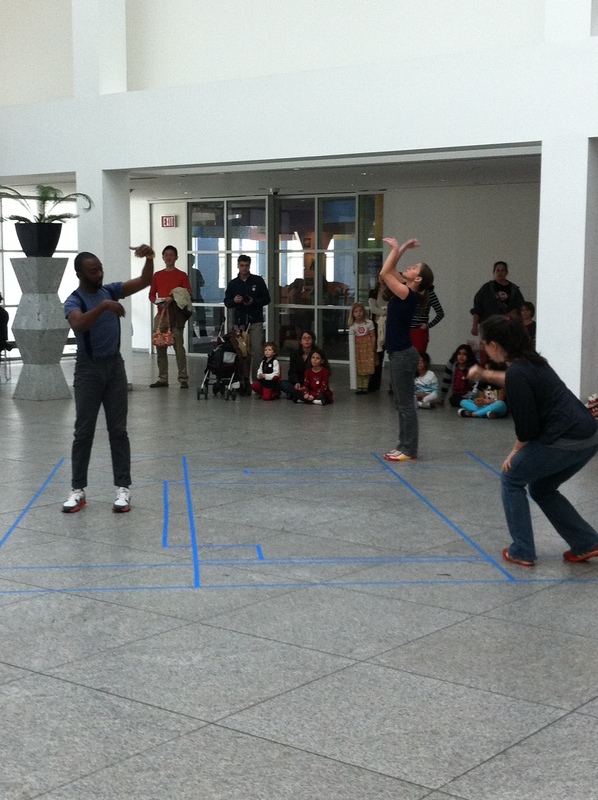 Check out The Lucky Penny performing on a Mondrian-inspired grid in the Atrium. After The Lucky Penny performance, kids got to show off their own moves in a modern dance workshop. 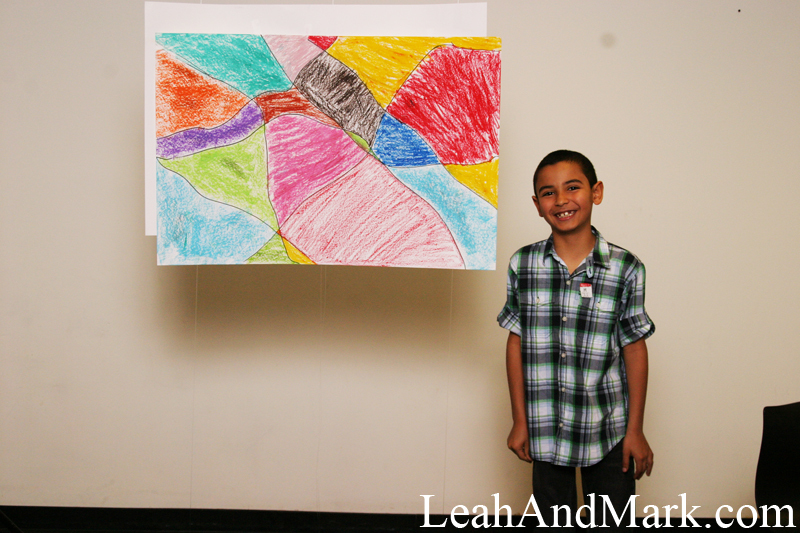 Here is a young artist in front of his art studio drawing in one of our workshops. This in studio portrait idea was inspired by Brancusi photos in the exhibition. 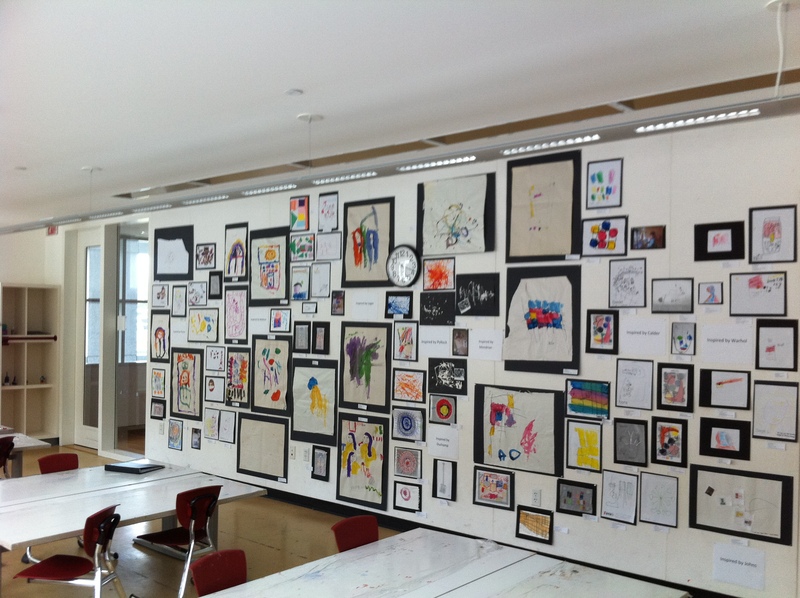 Atlanta Progressive Preschool has been studying all of the artists in the exhibition throughout the school year. They showed off their own moderninterpretations in one of our workshops. Looking for something fun to do with the whole family this weekend? Stop by the High on Sunday anytime between 1 and 4 p.m. for our Second Sunday Funday program. We’ll be exploring how Giorgio de Chirico and Fernand Léger used shadow and machines in new and interesting ways. Try your hand at shadow puppets and work to make a mechanically inspired character. As a bonus, check out our new exhibition The Art of Golf. Once you get some fore-tastic inspiration, head to the workshops to make art that takes a cue from the sand trap.